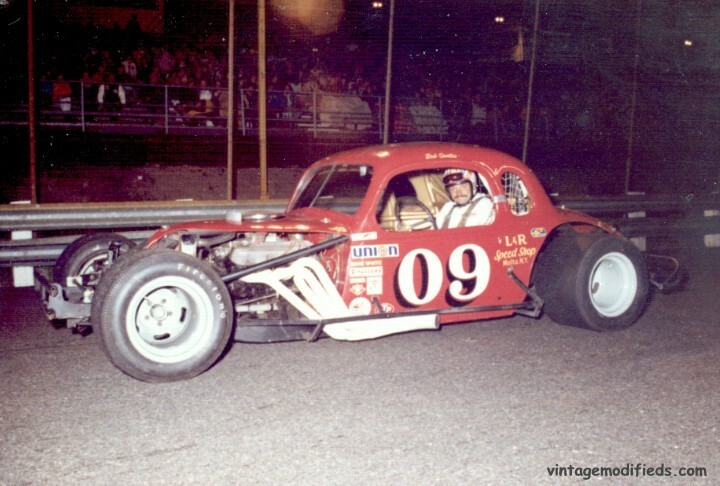 1969 – This is Art Barry’s “Stumpjumper”, usually numbered as 909. 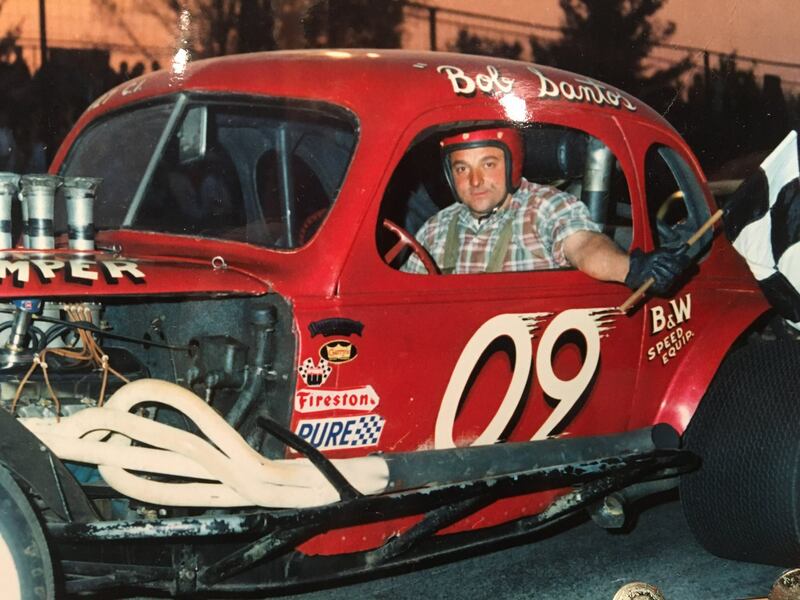 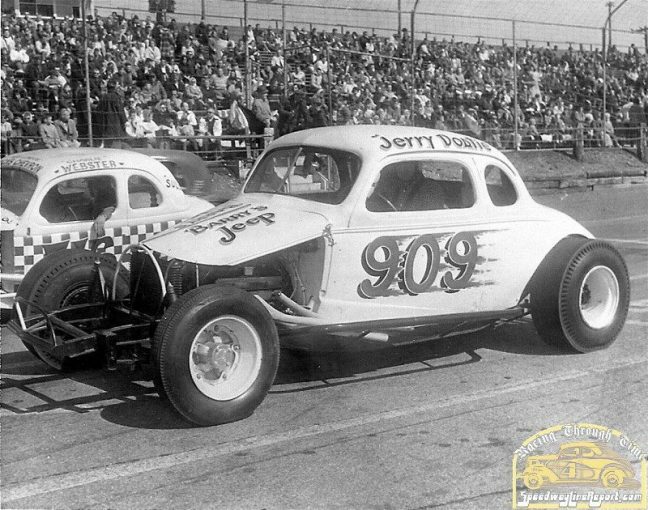 Bob Santos and Jerry Dostie were the regular drivers of the 909. 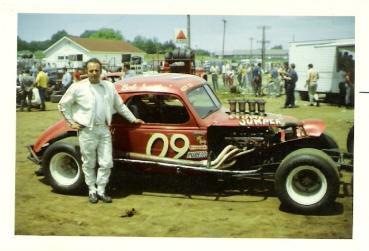 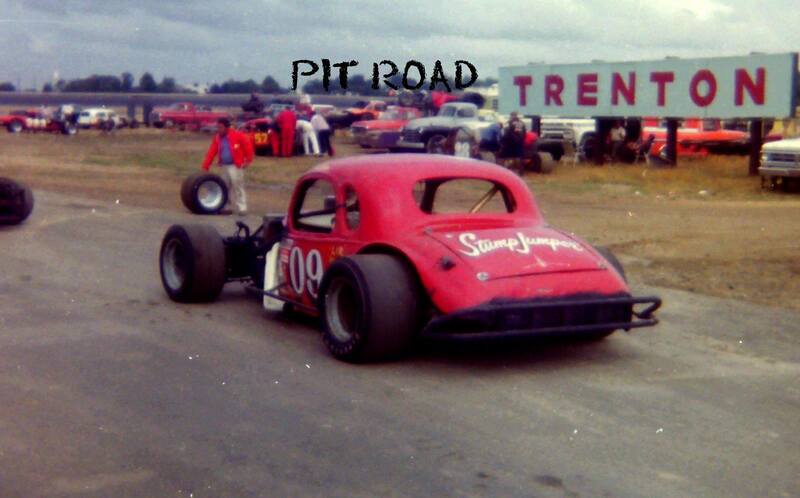 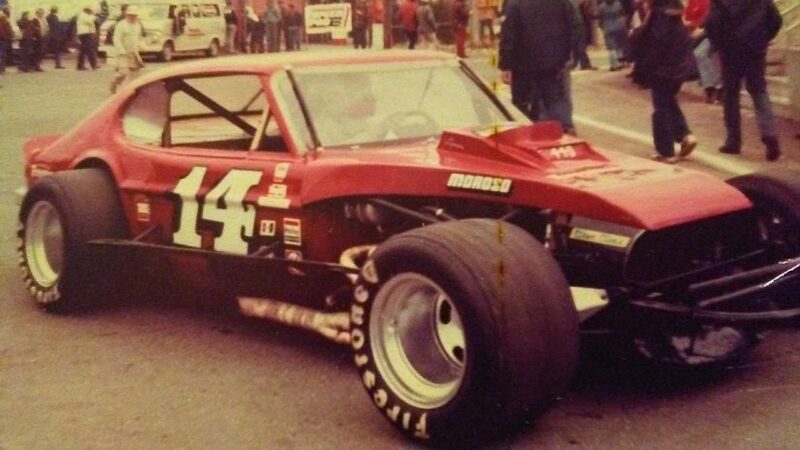 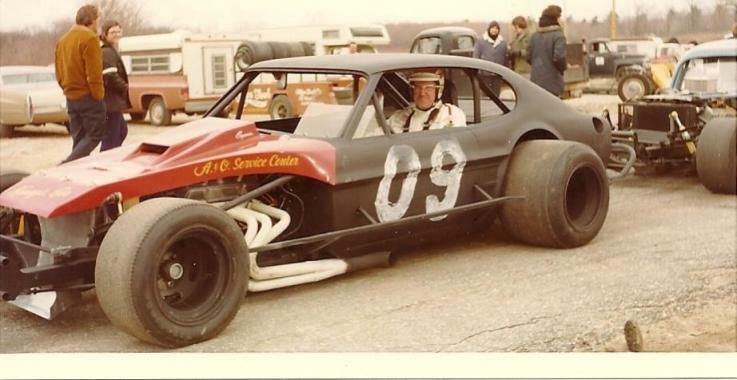 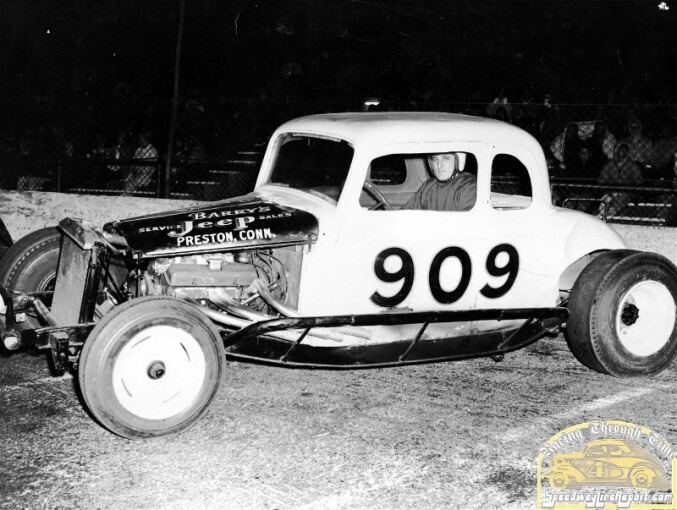 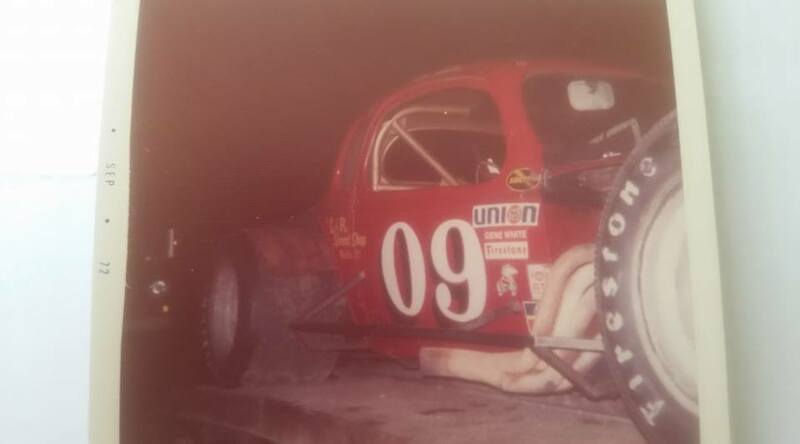 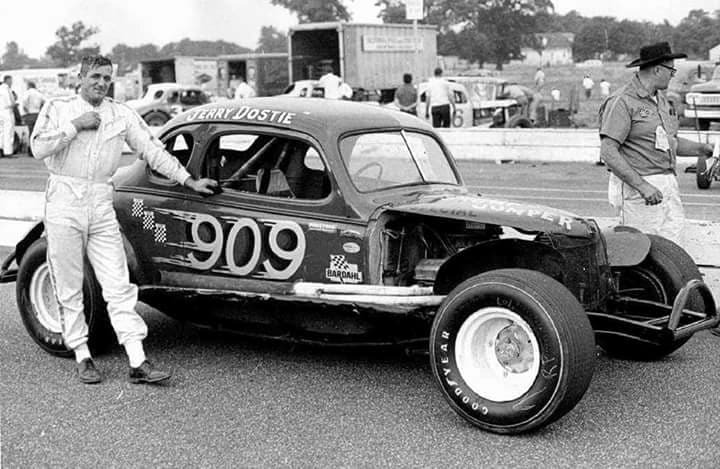 Ed drove Art’s next coupe, the 09, successfully in many races in 1971. 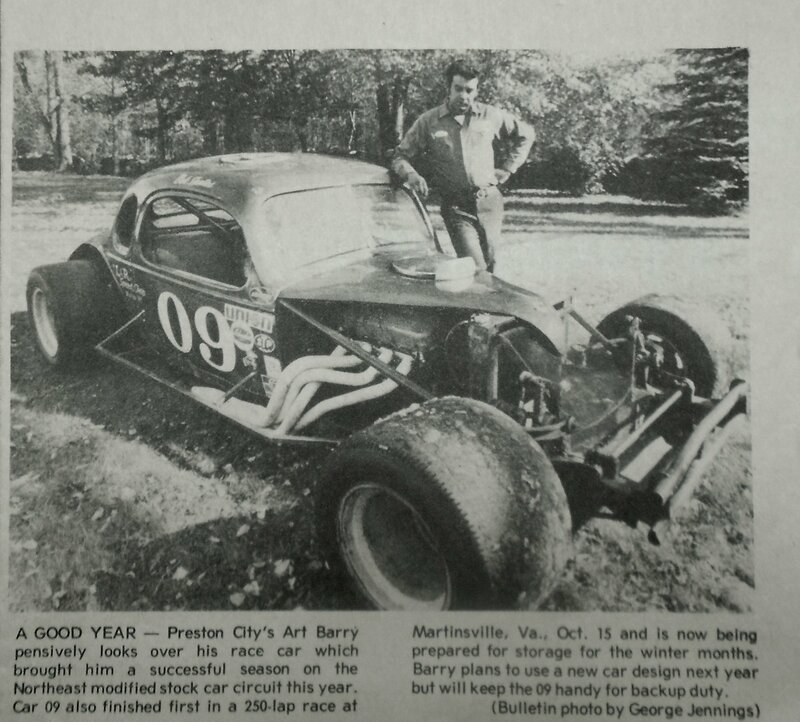 1972-10-31 – Norwich Bulletin. 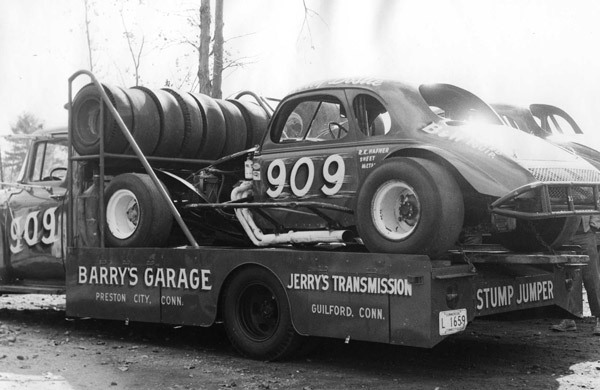 Image from Frank Cornell. Art Barry’s 09 coupe. 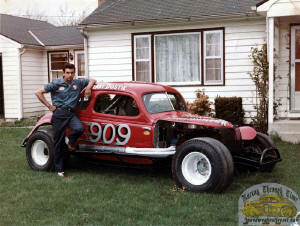 Image from Vintagemodifieds.com. 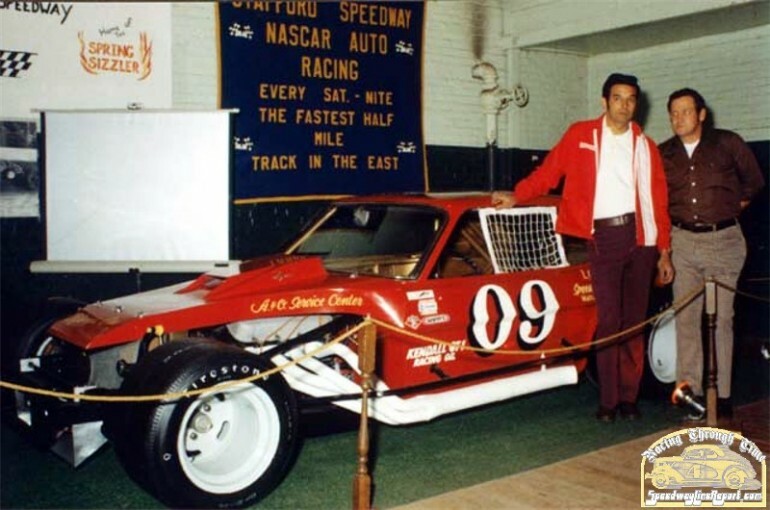 1974 – Art Barry in red jacket, Bill Slater on the right. 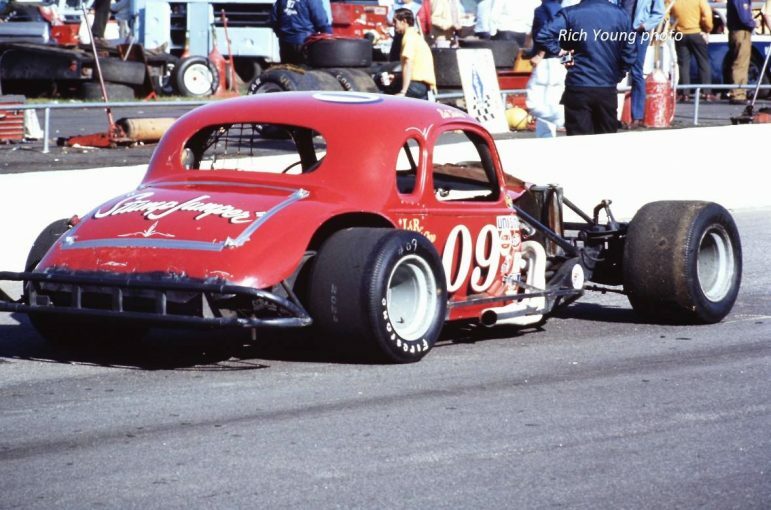 Image from Racingthroughtime.com.